Components are the building blocks for Klips and determine the way your Klips look and behave. Choosing the right components helps you represent and interpret your data effectively. Klipfolio includes many components for you to choose from. Read this article to learn the basics about each component type, then dive in and start experimenting. Keep in mind that the best Klips don’t have to be complicated - in fact, simplicity rules! If you’re unsure of what you want, sketch it out first on paper and then start building. Before we begin, let’s take a minute to talk about the unsung, but often necessary, presentation components: the Layout Grid, Label, and Separator components. These components provide structure and context for the components you add when building a Klip. The Layout Grid is divided into cells by horizontal and vertical grid lines. You drag a Layout Grid into the Klip workspace and then insert components into its cells, for example, you could insert a table in one and an image in another. You can add and remove or adjust the width and height of each cell. For optimum Klip performance, avoid nesting a Layout Grid within another Layout Grid. If you want to increase the capacity of your Layout Grid, add rows and columns. The Label component is ideal for creating section headers and adding descriptions to Klips. It can also be used to display a single value. 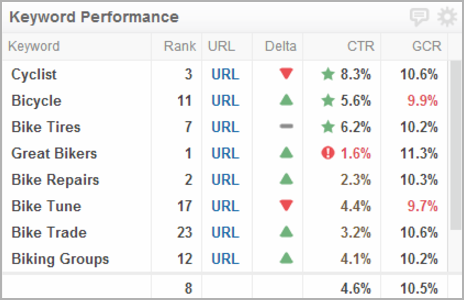 Labels are versatile - they can include text, numbers, image URLs, hyperlinks, and mini charts. The Separator component is a line that’s used to create visual separation between components in a Klip. It can be positioned vertically or horizontally and helps to organize content, differentiate between components, control white space around components, and add visual impact to the overall appearance of a Klip. 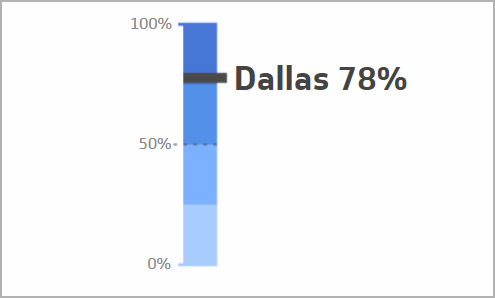 The Bar/Line Chart component displays a comparison of values in either a bar or line chart form (or a combination of the two). It’s great for comparing metrics as well as showing trends over time. For a more detailed description of the Bar/Line component, see this article. The Table component displays information in columns and rows, so it’s ideal for showing tabular data, such as regional sales figures. It’s also a great way to display a lot of related data - an important factor in effectively utilizing dashboard space. Keep in mind, however, that clarity comes with simplicity - you don’t want to overload your table component with excessive information. The Table component’s versatility really shines through when you diverge from simple text and numbers and add things like mini-charts, links, results rows, and images. You can also enable drill-down functionality. For a more detailed description of the Table component, see this article. For a more detailed description of the Value Pair component, see this article. 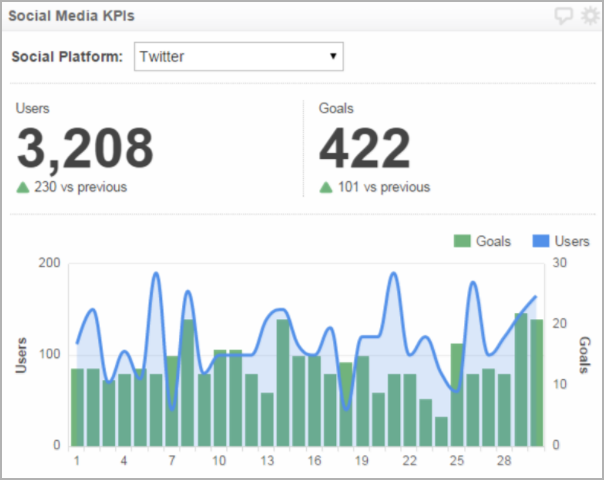 The Sparkline component includes a line or bar graph that displays trends over time and/or the current value of a KPI. This component includes three chart types: Sparkline, Spark Bar, and Win/Loss. For a more detailed description of the Sparkline component, see this article. 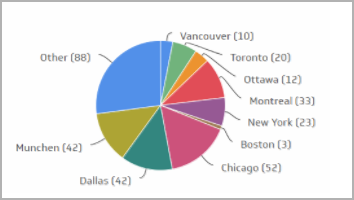 The Pie Chart component displays categorical data divided into sections, so you can see each section’s value in comparison to the whole. It’s ideal for monitoring KPIs such as survey results or for a regional breakdown of revenue. 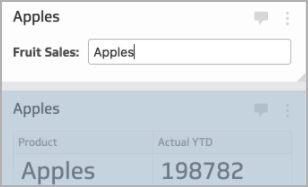 Available as a pie or donut style, you can add information with tooltips and a legend, and click on each piece to see its unique data. You can also use colours and labels to add context and detail to your Pie Chart. For a more detailed description of the Pie Chart component, see this article. The Scatter Chart component shows a visual comparison of two sets of values in a chart. It’s best for data like survey results, test results, and demographics. For a more detailed description of the Scatter Chart component, see this article. The Bubble Chart component shows the correlation between three sets of data and, like the Scatter Chart, is ideal for data like survey results, test results, and demographics. For a more detailed description of the Bubble Chart component, see this article. The Gauge component displays a value that’s relative to a predetermined target and is ideal for monitoring KPIs with set goals or benchmarks. They are best for tracking a single metric with a clear objective, for example, sales or revenue performance. For a more detailed description of the Gauge component, see this article. The Map component enables you to display values for regions on a map. This component provides insight into regional and global data and performance. Its interactivity means you can hover over a region to see its associated value. Using map markers, you can specify locations by latitude and longitude. You can also create custom maps. For a more detailed description of the Map component, see this article. For a more detailed description of the Image component, see this article. The Inline Frame component enables you to display content within an IFrame and is ideal for showing web content, such as widgets, flash, web pages, or videos. For a more detailed description of the Inline Frame component, see this article. The User Input Control component works with variables (that you create) and enables you to: search for values using a text field, select values to display from a drop-down list, or select a date range using a date picker. 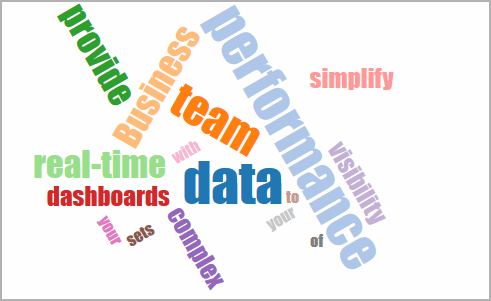 You can set its scope to apply to a Klip, a dashboard, or to all dashboards. For a more detailed description of the User Input Control component, see this article. The Funnel Chart component enables you to track your data as it moves through a process, for example, leads to sales and leads to sales conversions.You can use colour to highlight each stage in the process, include labels to add detail, and show conversions as a percentage from any stage in the process. For a more detailed description of the Funnel component, see this article. The Button component is used to control the action of variables. For example, you can set a variable’s properties to toggle between dates for values when the button is clicked. The Button component can also be used to coordinate multiple User Input Control components, which is particularly useful when dealing with dynamic data sources. For a more detailed description of the Button component, see this article. The Pictograph component tells a story about your data using images or symbols, displaying data in a visual way. You can select from a library of images or upload your own. For a more detailed description of the Pictograph component, see this article. 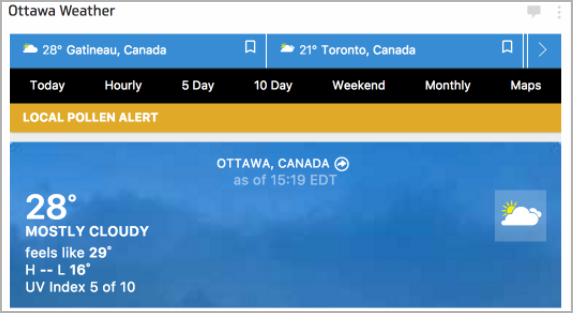 For a more detailed description of the HTML Template component, see this article. 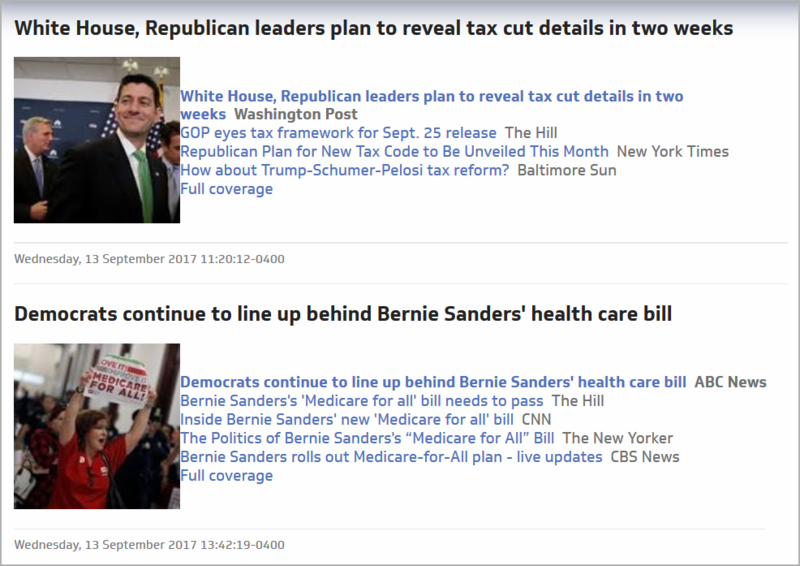 The News component displays a stream of headlines from an online news source and is ideal for monitoring RSS feeds. For a more detailed description of the News component, see this article. How do I choose the right components when building Klips?